The Earth is worth celebrating! On April 22, people around the world celebrate Earth Day, spending time cleaning, greening and appreciating the life-giving planet we too often take for granted. Iowa, of course, will join in on the party. Read below about Earth Day events cities in Iowa will host next week, as well as some activities you can do individually to make a difference. Des Moines: Festivities in the state capital will begin this weekend. On Friday, Des Moines Parks and Recreation will host an Earth Day Trash Bash, where registered teams will pick up trash around the city. Everyone is welcome to join in on the kick-off party and several other events hosted Friday and Saturday as part of the bash, including a Downtown Earth Day Tour through the science center, botanical garden and riverwalk. A number of other events on Saturday and Monday include wildlife restoration, crafting and stream cleanup. Cedar Rapids: The city’s 10th annual EcoFest will be on Saturday, April 20. The day’s events include performances, presentations, hands-on activities, tours, awards and more. Last year over 4,000 people attended! Dubuque: The Mississippi River Museum and Aquarium will participate in a nationwide Party for the Planet event Saturday. Visitors attend presentations, meet animals and do hands-on activities to learn about environmental conservation. Participation in the celebration will be included with general admission and free for children 3 and under. Davenport: Visit the Freight House Farmer’s Market Saturday morning for speakers, demonstrations, music and activities to learn about problems facing the planet and how you can help fight them. Iowa City: You can celebrate for days on end in Iowa City! On Monday, compete in Earth Day Eco Trivia at the East Side Recycling Center. Tuesday, celebrate the 100 Grannies for a Livable Future 7th anniversary. Plant trees at the Terry Trueblood Recreation Area Wednesday, and on Friday talk to UI scientists at the Sciences Library. Saturday join Parks and Rec for an Earth Day festival. University of Iowa student organizations have been hosting Earth Month events for weeks, and still have more to come. Consider visiting the Student Garden Open House Saturday, April 27 for food and DIY Chia Pets with the UI Gardeners and attending an environmental benefit concert the following night with the UI Environmental Coalition. The UN recently released their Global Environmental Outlook report, and the news is a mixed bag. There are some negatives, but a few, if small, positive points. 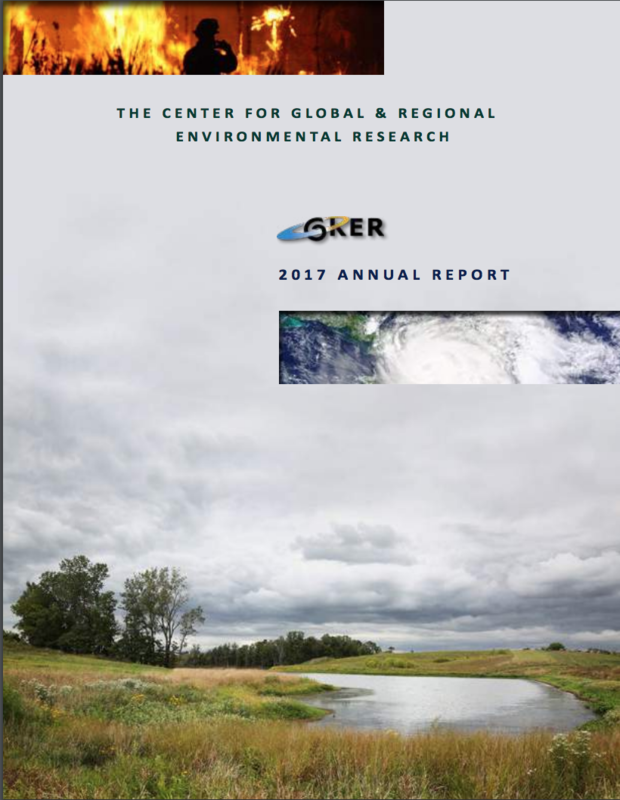 The Global Environmental Outlook report is one of the most thorough environmental assessments, taking data from almost 200 global experts who compiled their research over the course of 18 months to bring to light a better picture of our climate. The GEO paints something of a grim picture of our globe’s health, but it also offers up solutions and some definitive proof that reducing the use of fossil fuels greatly improves the health of different populations. The bad news is that many of our climate issues have already reached some considerable extremes. Air pollution affects 6 to 7 million people’s lifespans, causing premature deaths, and the most common forms of agriculture are unsustainable at best and actively harmful at worst. Through these in depth reports and assessments, we get a better picture of our planet’s health and wellbeing. We also get a warning, a sign that we need to further improve our environment through the tools we’re given. 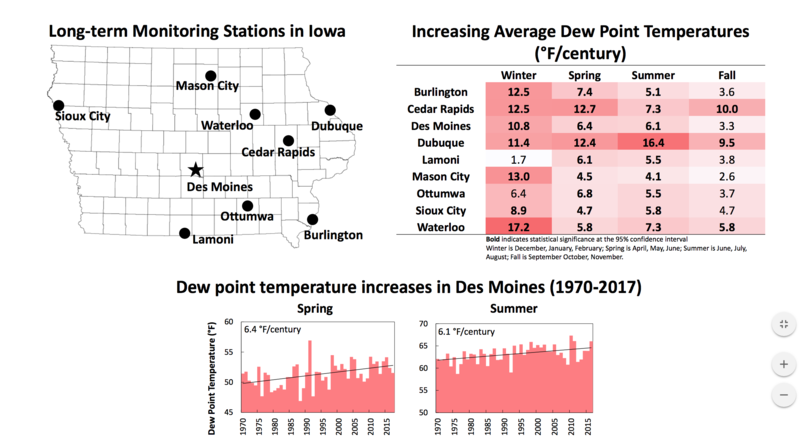 Most floodwater is unsanitary at best and infested with dangerous bacteria at worst, experts find, and recent storms in Davenport have brought to light the issues with rising water levels and contamination. River water is a typical site for sewage and stormwater runoff. It’s also a source of energy, transport, and water for commercial and residential use; the Mississippi alone provides drinking water for some 18 million people. But flooding disrupts the water purification process and pushes much of the contaminated water out, especially when storm drains become compromised. Spring typically brings heavy rain and an increase in water levels, but concentrated snowfall and changing weather patterns have caused the Mississippi to spill over in several cities. In Davenport, citizens know not to wander in the water: floodwater around the Modern Woodman park baseball stadium tested positive for E. Coli. Most bacteria found in floodwater causes gastrointestinal issues, and staying safe from these contaminants is one of the recommended ways to deal with flooding, according to OSHA. Infection and sickness are just some of the risks following any natural disaster that causes floods, and staying out of the water is the best way to stay safe.